In recent years, the mobile crushing station develops rapidly in construction waste industry. It belongs to the rock and construction waste crushing equipment, greatly expanding the concept of coarse and fine crushing. According to the different crushing technology, the mobile crushing station can be formed a "crushing-screening" process or a "screening-crushing" process or be combined into two stage crushing process of coarse crushing and fine crushing, it can also be combined into three stages of coarse crushing, medium crushing and fine crushing with high flexibility, which maximum satisfy the customer's requirement, becoming the new and popular equipment in rock crushing industry. This kind of mobile crushing station is driven to the construction waste site to execute the crushing, screening and recycling work. The crushed materials can be used in the urban infrastructure of regeneration brick, water-stabilized material according to the materials' granularity, which greatly promotes the national economic development. 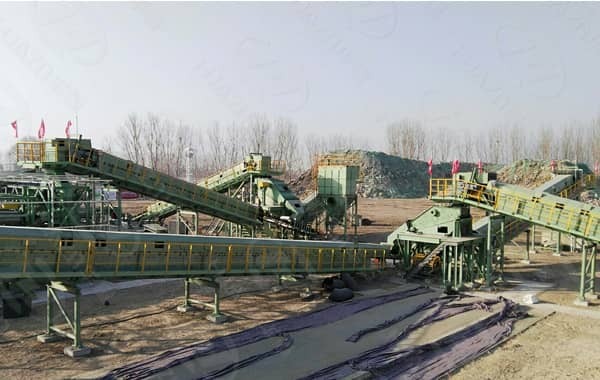 As a high-end mobile crushing station manufacturer, Luoyang Dahua insists to take sustainable development road to produce high quality and effective, green and eco-friendly crushing and screening equipment to create maximum benefits for the clients.